Please, notice: after deleting your account all the projects you created and the history of your activity on the service will also be deleted. Once your account is deleted all the projects you created and the history of your activity on the service gets deleted as well. Why did you decide discontinue working with Semalt? Don’t be in a hurry to delete your account, you can use it for other projects. I don’t have enough funds on my credit card to pay for the services. Contact your account manager to discuss this situation. We will surely work out a solution. The results didn’t meet my expectations. Full results of SEO-campaign can be seen only in a month or two. Your website is yet to surprise you. We are always ready to help. You can contact our support service via email, telephone or Skype anytime. None of these solutions resolves your problem? 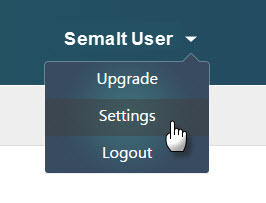 You can delete your Semalt account on your own or turn to our support service. Choose Settings in the profile menu. 2. Click Delete account at the bottom of the page. 3. You can confirm or cancel your decision. This option is available for free account users. To prevent accidental account deletion for prepaid tariff plans we removed this option from the settings. 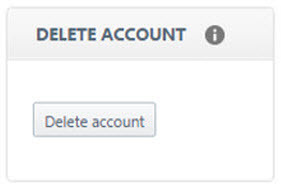 If you cannot see the Delete Account button in your profile settings, ask your personal manager for help. You’ll find our contacts on the Support page.